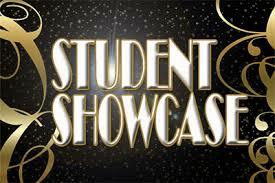 The 7th annual Communication Student Showcase and Awards. By submitting your work, you will have a chance to be recognized by faculty, peers, and alums. The ceremony will be held Tuesday, April 17 in the ILC Comm Hub at 5 PM. We will celebrate Comm majors' many forms of achievement and expression. Categories include Audio-Visual, Civic Engagement/Community-based Work, Original Research, Speech and Performance, and Writing.